The Vashon Island Premiere of HOT FLASH HAVOC, the award-winning documentary from Executive Producer Heidi Houston will be in town for one night only on August 6, 2011. The film is enlightening, entertaining, humorous, profound, and a crash-course in what every woman needs to know about perimenopause and menopause. 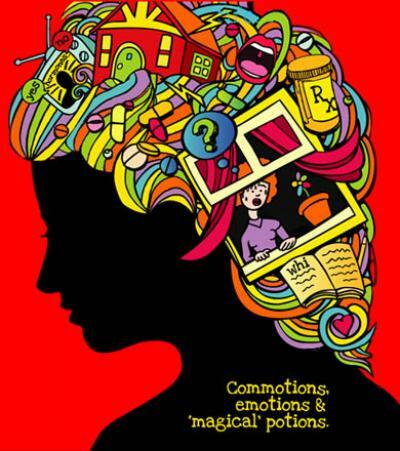 HOT FLASH HAVOC not only sheds insightful light on the confusion stemming from a decade of misguided facts, but conveys poignant personal stories shared by real women and in depth interviews with the world’s most noted experts. Learn about staying vital, alert and sexual from 35 to your 80s and onward. "This film has the power to be a life changing experience for every woman in your life," said Executive Producer Heidi Houston. "Gather your girlfriends for a fun and enlightening evening out, or bring your spouse too because if you are a woman, live with a woman, or know a woman, this is a must see film." Some of the experts featured in the film are: Alan Altman, MD President Of The International Society for The Study of Women’s Sexual Health; Susan Wysocki RNC, NP, FAANP President and CEO of the National Association of Nurse Practitioners in Women’s Health; Dr. Elizabeth Vliet M.D. Women’s health specialist & Founder of HER Place: Health Enhancement Renewal for Women, Tucson & Dallas; Sheryl Kingsberg, PhD, chief of behavioral medicine, MacDonald Women’s Hospital, University Hospitals Case Medical Center and associate professor in the departments of reproductive biology and psychiatry; Phyllis E. Greenberger, the first president and CEO of the Society for Women’s Health Research in Washington, D.C.; Barbara Levy, MD Medical Director at the Women’s Health & Breast Center at Franciscan Health System in Washington State; and many more.